Reading and share top 1 Jackie Blue famous quotes and sayings. 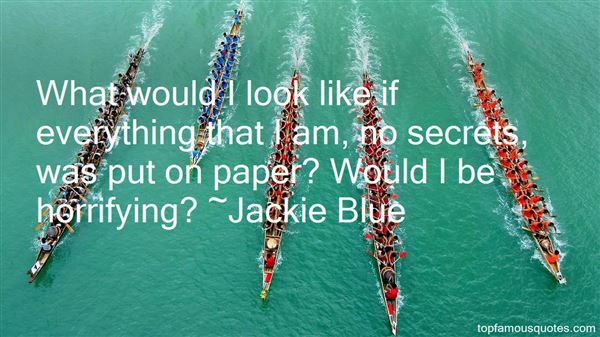 Browse top 1 most favorite famous quotes and sayings by Jackie Blue. I guess part of the hit-man appeal is the solitude. Everybody is lured to the idea of the solitary life."